Swett's Battery | Just Shooting Memories! Chickamauga Battlefield has to be one of the most interesting I have visited. 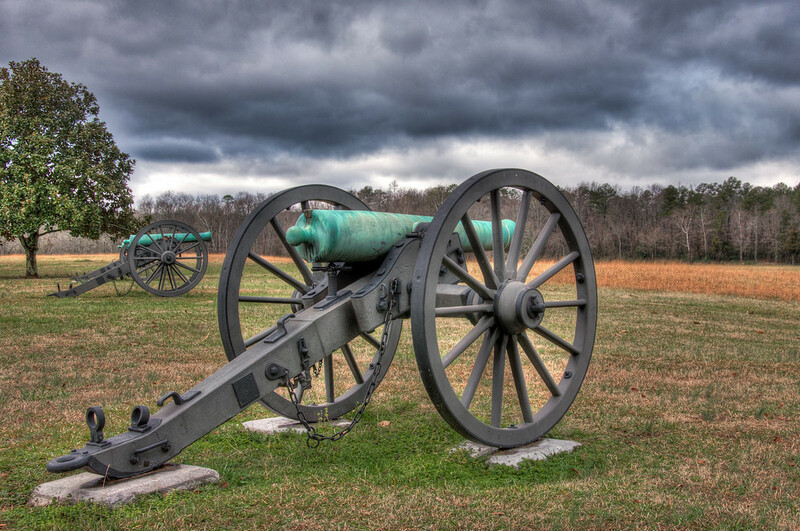 It is also one of the oldest of the National Battlefield Parks. As I walked around, there were markers for where certain units were at given points in the battles. This battery position happened to be near the evening of September 20, 1863 and resulted in a retreat with one gun lost, but then the gun was recovered later. I enjoyed getting to visit this park on such an ominous day. It gave a feel to the air of the great struggles that happened here and all over the United States during the War.